I watched the film of My Summer of Love earlier this year. It was one I’d picked up super cheap at some point in time, completely unaware that it was related to the novel I’d had sitting in my bookshelves for years, waiting to be read. 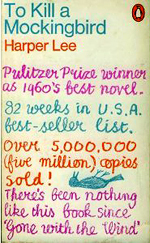 I didn’t like the movie at all, so I had very low expectations for the book it had been based upon. Luckily, I enjoyed it a lot more than I had been expecting. My Summer of Love is tightly written with a very strong voice. The protagonist is fifteen-year-old Mona, and the novel is presented from her flawed perspective, complete with slang and local dialect. At first, it’s a simple tale of teenage boredom and family drama, centred around Mona’s sister’s second wedding and life at her father’s pub. But then she meets Tamsin (for the second time) and Mona’s penchant for gambling, drinking and petty crime descends into something a lot darker. While reading My Summer of Love, I was strongly reminded of the absolutely brilliant film, Heavenly Creatures and, upon finishing, I realised that it also has many similarities to The Member of the Wedding, by Carson McCullers. There’s a strong sense of apathy here that belies the obsessive emotion that Mona says she feels for Tamsin. As readers, we are not given the impression of a young girl caught in the flush of first love; rather we see someone broken and breaking further apart, with no apparent care for what she does and who she does. My Summer of Love is not so much a tale of love as it is an account of deep grief and the (unknowing) quest to find something to feel. The main pairing in the novel is a lesbian pairing, but I am not sure that this matters at all. Mona doesn’t question her attraction to Tamsin, but rather lets it slot easily in amidst her growing awareness of men and her attractiveness to men. I found this refreshing, but not entirely realistic, given the novel’s setting. I am not entirely sure why they changed the novel so very much when making it into a film. Certainly, there is not a lot in the film that bears any great resemblance to the book, which is a shame. My Summer of Love is dark and clever and very good. On the other hand, I would not read it again, simply because I didn’t like the ending. I’m not sure it was sufficiently supported by Mona’s journey and, in a purely personal sense, it just felt too dark and pointless. The first line of the novel talks about the day that two people died. If it had only been the first person, I think the ending would have been perfect. 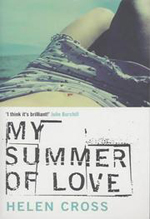 Still, the fact that I didn’t enjoy everything about My Summer of Love doesn’t mean that it isn’t a very clever novel, with strong characters and a wonderful feeling of apathy and destruction throughout. Freia knows she doesn’t really fit in with the ultra-popular Bs, but her best friend Kate is so eager to become a part of their clique that Freia can’t help but be pulled into their circle as well. When her reluctant participation in the school musical helps Freia to make a few new friends – and actually talk to boys – she is forced to think about who she really is and where she belongs. Aimee Said has such a talent for making her teens seem real – so much so that I cringed a few times while reading Finding Freia Lockhart, because Freia reminded me a little too much of myself at fifteen! The situations here are all very realistic as well. School musicals are notorious for causing drama (and gossip), and struggles with personal identity and changing friendship groups are ones that will ring true for most readers. Freia is a wonderful protagonist, simply because she is so very real. Her struggles with her parents are particularly well described, as the reader can feel both Freia’s frustration and understand the place her parents behaviour comes from. Freia grows a lot throughout the novel, and this growth is largely due to the changing relationships she experiences with both her parents and her peers. Freia comes across as someone who is just starting to think about her place in the world, and her journey towards independence is a pleasure to follow. The three Bs are all very fun characters. Said gives them all distinct characters, with Brianna being the most likeable and Bethanee seeming like a Mean Girl to beat all Mean Girls! I would have liked a little more discussion of Belinda’s extreme dieting, in terms of showing just unhealthy it is (in both mental and physical terms), but realise that Finding Freia Lockhart is not meant to be a book about eating disorders. I thought Kate worked very well too, even if I couldn’t like her. Just as the novel is about Freia finding herself, it seemed to show Kate losing herself in her quest to be popular, which makes her a great foil to her best friend, but also reduces her likeability a little. My personal favourite character was the fantastic Siouxsie. I loved how she’s always there in the background, quietly offering friendship to Freia, even when Freia is completely oblivious to it. She is sweet and interesting – and I pictured her looking like Siouxsie Sioux all the way through the book! A rather more terrifying mental image was provoked by the book’s descriptions of Daniel, who I ended up picturing as Skeletor with emo hair and Mick Jagger lips. He works well as a character, however, and I can picture him being a hit with younger readers, especially once the truth about him becomes clear. 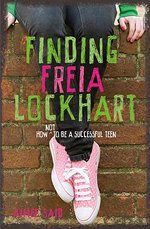 Finding Freia Lockhart is an enjoyable coming-of-age tale that focusses on changing friendships, family dynamics, first romance and, most of all, the process of working out who you really are. 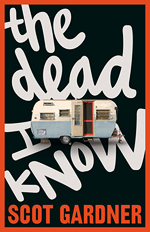 A great Australian addition to the contemporary YA genre. With Ally’s mother struggling to cope with the mental after-effects of witnessing a bad car accident, her parents decide to move away from Perth and into a rural beach town. Ally struggles to fit in with her new schoolmates, a situation made only the more difficult by her mother’s worsening health. Will she adapt to her new life, or will it all prove too much? 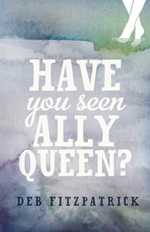 Deb Fitzpatrick’s second novel, Have You Seen Ally Queen? is a contemporary YA offering with a literary style. The chapters are unusually brief – one is just one page – and the narrative voice is also quite short, with situations often being described through short moments in time and character interactions rather than deep insights into Ally’s head. In some senses, it felt a little like Fitzpatrick’s taciturn tone undermined the character of her protagonist. The reader is told that Ally is spontaneous and unrestrained and a bit of a loudmouth, but the first person narrative often seems to give the exact opposite impression. It is difficult to know how much this was planned by the author. Should the reader consider it an indication of an unreliable narrator and an example of the ways in which Ally is struggling to discover herself as a maturing teen in a new location? Certainly, it could be read that way, but I personally found it contributed to my lack of identification with the novel’s protagonist. Ally is realistic and age-appropriate, but she doesn’t give much of herself to the reader – at least not readily. Much in Have You Seen Ally Queen? is implied, rather than stated, which is a technique I love in short fiction but one that is not commonly found in novels for young readers. I’m not sure it works in this context. There is a lack of immediacy in the book, despite it being written in present tense, and this meant that I was not captured by the plot when feeling distant from the protagonist. It’s a pity that I couldn’t get into the style of Have You Seen Ally Queen?, because the content of the novel is fantastic. It combines coming-of-age themes with a very real exploration of mental illness and the effect it can have on the loved ones of the sufferer. Fitzpatrick does not make Ally’s mother unsympathetic, but also does not shy away from the full range of reactions experienced by Ally herself – some of which are quite critical of her mother’s behaviour. In terms of the issues it explores, Have You Seen Ally Queen? has a lot to say to young readers, so I hope that it does well, despite my personal lack of connection with its style. Tally is looking forward to her sixteenth birthday, when she will finally become pretty. At that age, all teenagers receive extensive plastic surgery to remove and refine all of the physical features that set them apart from each other, changing Uglies into the generic Pretties, who spend their new lives partying and having fun. But then Tally meets Shay, an ugly who shows Tally that there is an alternative to the future she’s always expected, and soon Tally is forced to make a choice that she never thought she’d face. I’ve seen a lot of discussion of this book on Goodreads over the years, so when a copy finally turned up at my local library, I thought it was about time I tried it for myself. Ultimately, I enjoyed the read, but came away from it feeling like Uglies could have been so much more than it actually was. As a premise for a YA novel, it’s a good one. The focus on appearance, to the detriment of everything else, is particularly relevant to the teenage age group. There’s something immediately uncomfortable about a world that strives towards homogenisation instead of the acceptance and promotion of diversity, and Westerfeld does a good job of depicting his dystopian world. However, most other aspects of the book do not prove as interesting as its premise. The characters are mostly one-dimensional and Tally seems to me to be a particularly uninspiring protagonist. I understand Westerfeld’s difficulty here. Tally has been brought up in a society that forms its children into acutely shallow beings, and her thoughts and actions are an immediate by-product of this life-long indoctrination. As a character, therefore, she is true to her world. But this authenticity proved to be a barrier to me. I disliked her weakness, her gullibility and her deceptiveness. I found myself wanting her to fail. For me, the most interesting and likeable character was Shay – but only in the beginning. From Part Two onwards, her relationship with Tally warps into one of feminine rivalry, with a boy in the centre (of course). I, for one, am tiring of endlessly being told by books (and films and television) that women are in competition with each other. I am hoping that something comes of this plot point in later books, because otherwise it’s just hackneyed and destructive. 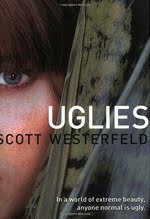 My other big issue with Uglies is the fact that Westerfeld focusses almost entirely upon physical differences. There is a brief mention of race, but no talk of culture. How do the many religions fit into his world? What about disability? Homosexuality, bisexuality, transsexualism? It’s almost as though his world picture is unfinished. Not having read the rest of the books in the series, I’m hoping that these questions are dealt with in later books but, judging Uglies on its own merits, it felt like there were a few gaps that negatively affected my reading experience. All that said, I did enjoy this book. It’s a fast-paced read, with a fun concept, plenty of adventure and a cliff-hanger ending that had me ordering the next book into my local library right away. I’m just harsh because it could have been incredible, but instead it was just a lot of fun.